macOS High Sierra 10.13 introduces a new feature that requires user approval before loading new third-party kernel extensions. This feature will require changes to some apps and installers in order to preserve the desired user experience. This technote is for developers who ship kernel extensions to users and system administrators who need to install kernel extensions. Installers and applications that load kernel extensions may need to be revised to gracefully handle the kernel extension failing to load. Many products treat a KEXT loading failure as a hard failure. Some prompt the user to reinstall, some present a cryptic error message, and some simply don't function. Starting with macOS High Sierra, installers and apps that load KEXTs should expect that KEXT loading will fail if the user hasn't approved their KEXT. Instead of treating this as an error, the user should be informed that they may need to approve the KEXT. If you are using kextutil or kextload, check for the exit code 27. In addition, kextutil will produce the error message System policy prevents loading the kernel extension. If you are using the KextManager APIs in IOKit/kext/KextManager.h, check for the result code kOSKextReturnSystemPolicy. If your workflow is based on imaging, boot into Recovery OS and use the spctl kext-consent command. For detailed information about the spctl command, run the command spctl help. This command can either disable the user approval requirement completely or specify a list of Team IDs whose KEXTs may be loaded without user approval. The spctl command works in any installation environment, including Recovery OS and from NetBoot/NetInstall/NetRestore images. Note that the Team ID list maintained by spctl is separate from the system-wide policy database. For workflows that leverage Mobile Device Management (MDM), please see the AppleCare support article Prepare for changes to kernel extensions in macOS High Sierra. To reiterate, all third-party KEXTs that were already installed at the time of upgrading to macOS High Sierra are automatically approved and don't require any user action. 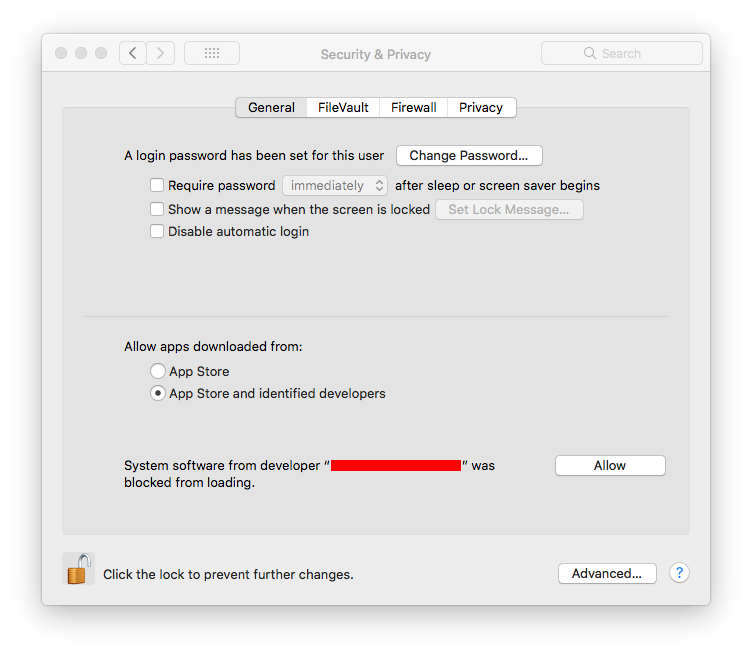 Updated for MDM changes in macOS 10.13.4. Updated for macOS High Sierra beta 8. Updated for macOS High Sierra beta 4. Updated for macOS High Sierra beta 3. 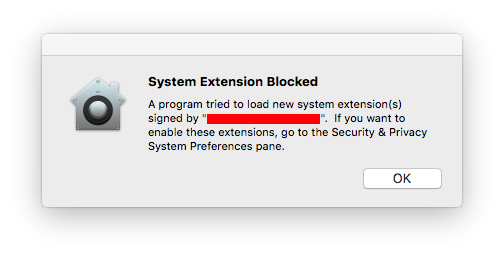 New document that describes the user-approved kernel extension loading feature introduced in macOS High Sierra.